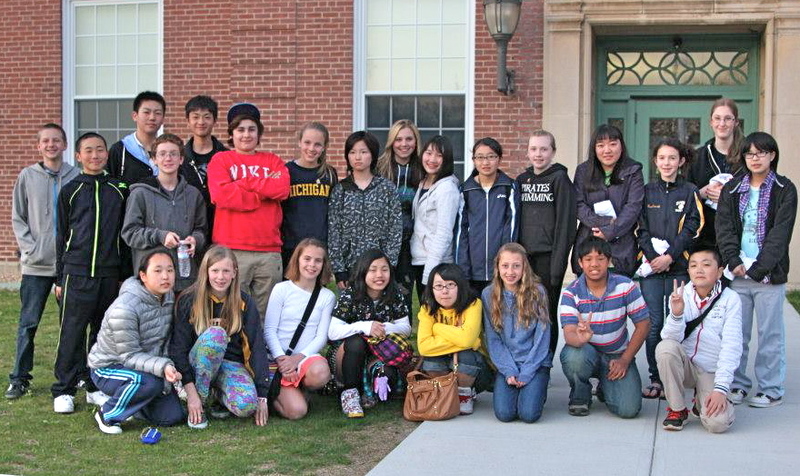 The 20th Anniversary of the Kittery Tobu Exchange! 1993 – 2013 Celebrating 20 years of friendship! Words really can’t describe the fabulous time we had celebrating the 20th Anniversary of the Kittery Tobu Kamikita Exchange, but here are a few- old friends, new friends, lobster, light houses, home cooked meals, shopping , restaurants, golf, cookouts, gifts, classrooms, sightseeing, cultural demonstrations, songs, assemblies, dances, museums and more. For pictures from the 20th Anniversary please visit the photos page. You’ll find a link to dozens of pictures from this year’s exchange as well as exchanges from previous years. 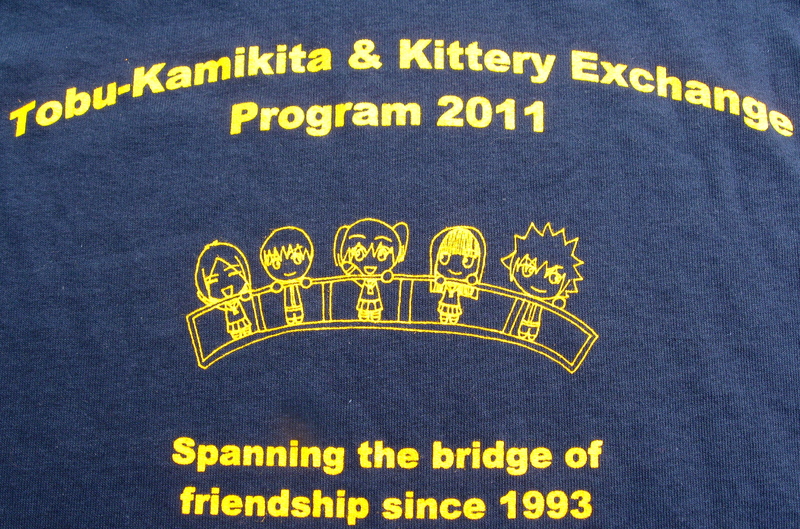 For even more, join the Kittery Tobu Kamikita Exchange on Facebook! April 2012– Our next exchange will take place April 27 -May 2. 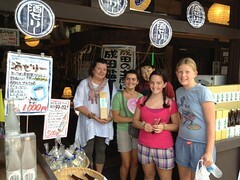 We are looking forward to welcoming twelve students and five adults from Rokunohe and Oirase. This year we are honored to have Mayor Yoshida of Rokunohe, and Rokunohe School Superintendent Sakurada among our guests. Other guests include English teacher Hiroaki Uchiyama and TRCE member Teruhito Murakami. The Kittery Tobu-Kamitika Exchange Committee would like to thank the many students, families, teachers and staff from Shapleigh School in Kittery who helped raise funds for the earthquake and tsunami relief efforts in Aomori, Japan. Through the sale of a specially designed t-shirts, $500 was donated to the Maine-Aomori Sister State Advisory Council. Those funds and others collected through the Friends of Aomori – Earthquake Relief effort were sent directly to the Aomori official relief agency, Aomori-ken Saigai Taisaku Honbu (Aomori Prefecture Disaster Management Office), for use in assisting earthquake and tsunami victims in the prefecture. The original artwork on the t-shirt was designed by Flynn Battock Emerson, Kayla Kilty and Hannah Nightingale. We would also like to thank the talented students that helped make the 1,000 origami cranes that were presented to the Japanese students on April 25 during the welcome assembly at the school. As was explained during the ceremony, 1,000 cranes represent a gift of peace and good luck. We are pleased to announce Judy Mitsui has accepted the position of President of the Kittery Tobu Exchange. Judy is the wife of the late Mori Mitsui, the beloved founder and former president of the program. Judy has been actively involved with the exchange since it began 18 years ago. We are thrilled to have her continued support and guidance. We are very sad to report that our dear friend Mori Mitsui passed away on August 26th. 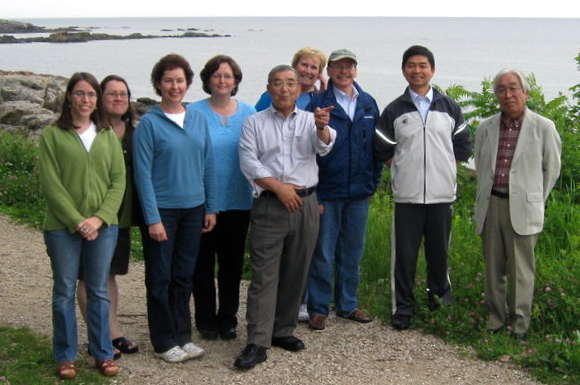 Mori was the cofounder and president of the Kittery Tobu exchange. His work in support of the program has kept it going for these seventeen years. He will be greatly missed. We are happy to announce there will be a June 16 visit by a delegation from the towns of our sister schools. Mayor Yoshida of Rokunohe and Superintendent Hakamada of Oirase will visit Kittery along with Mr. Noboru Sawahashi, the schools’ Chief of Guidance. The visit is being made in honor of the long standing relationship between our communities. 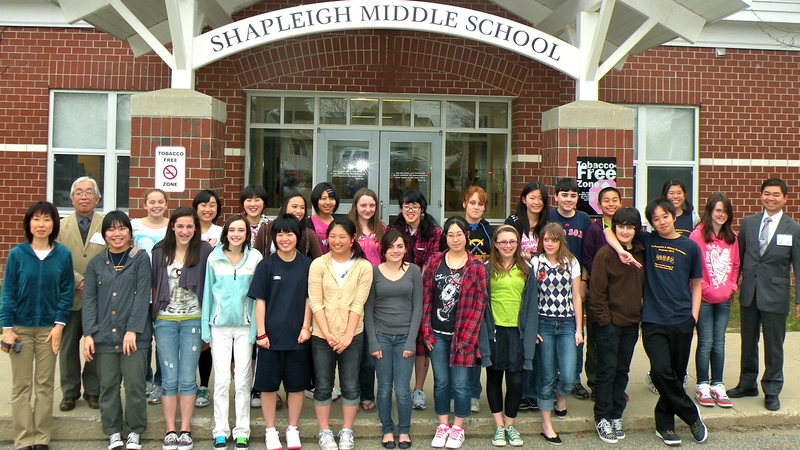 The events of the day will include a renewing of the Sister School Agreement between Shapleigh Middle School and the Tobu Kamikita School District. Due to concerns about the H1N1 flu, students from the Tobu-Kamikita district will not be visiting this year. Because they begin preparations for this trip a year in advance, it was decided that the risks at that time were too high to commit to the visit. The exchange will resume next spring, 2011. 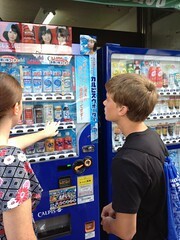 We just completed our 15th exchange with the Tobu-Kamikita school district of Rokunohe and Oirase in Aomori, Japan. Our guests arrived on Friday, April 25th. The twelve junior high school students and their four chaperones spent the next five days experiencing life with Kittery families- visiting historical sites, trying new foods, attending school and learning about our culture. On their last evening here, the Japanese students prepared a delicious meal of traditional foods for their hosts. The students were able to overcome language barriers and made strong connections with their host families. There were many tears as goodbyes were said to new friends.